When a driver is arrested on charges of driving while intoxicated in New Jersey, there are frequently other charges that will be added to what he or she will face. An example of this is speeding. While DWI is not a criminal offense and is, instead, a traffic violation, the penalties are still significant and costly. The same holds true for speeding. Speeding is a traffic violation, but it can have wide-ranging ramifications over one’s driving record and wallet. In addition to a DWI conviction, the costs can be severely damaging to one’s bank account and their driving privileges. On certain New Jersey roadways, the posted speed limit is 65 miles-per-hour. Unless there is a posting that states this is the speed limit, the limit will depend on where the individual is driving. For example, on certain roadways, the limit will be 50 mph. 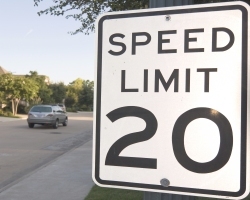 In residential areas, the limit is 25 mph. There are also instances, such as when there is roadwork being done, that there will be a sign that states drivers can surpass a certain limit while in the work zone. If they do, that too is considered speeding and will lead to a ticket. New Jersey driver’s licenses operate on a points system. If a driver accrues 12 points on the license, the driver’s license can be suspended. This is important when the speeding citation is linked to a DWI charge because even the lowest level DWI charge with a first offense and a blood alcohol content of 0.08% will lead to a three month suspension of driving privileges. The number of points a driver gets for speeding will depend on how far over the speed limit they were. A driver who was going between 1 and 14 mph over the speed limit will have two points placed on the driver’s license. Driving between 15 and 29 mph over the speed limit will lead to four points being placed on the driver’s license. Driving 30 or more mph over the speed limit will result in five points and it can also result in the officer adding reckless driving to the charges. Depending on how far over the speed limit the driver was driving, the fines can be doubled. There can even be jail time of up to 15 days. Common defenses that might be successful when it comes to a ticket for speeding include the signs not being approved by the city. Also, the officer will use radar to determine the driver’s speed. The officer is required to have a current operator’s card to use the machine and the machine must be properly calibrated for the results to be acceptable. It it can be proven that these factors were not in place at the time, the speeding charges could be dismissed. Drivers who are caught speeding and have to pay the penalties and face the fines might not believe it is that big of a deal. If the speeding is linked to a DWI conviction, then they might think differently. DWI is taken seriously in New Jersey and in combination with a speeding ticket, the impact on one’s driving privileges and overall life can be substantial. When a driver is stopped by law enforcement on suspicion of DWI, it might have been due to a traffic infraction such as speeding. Once the stop is made, the officer will look for signs that the driver has been drinking such as glassy eyes, the smell of alcohol, slurred words and even an open container. 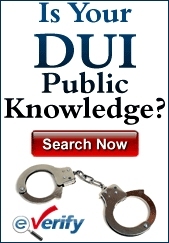 When there is a belief that the driver was driving drunk, field sobriety tests will be given. These include the One-Leg Stand test, the Walk-and-Turn test and the Horizontal Gaze Nystagmus test. After that, the breath test will be given. Drivers are not allowed to refuse the breath test. If they do they will add another charge to speeding and DWI. If the breathalyzer test registers 0.08% or above for a driver age 21 or over, there will be a DWI arrest. The penalties will depend on how far over the limit the driver was and whether it was the first offense or subsequent offenses. For a first offense, the driver will have the driver’s license suspended for three months. There will be a fine of $250 to $400. $230 will have to be paid to the Intoxicated Driver Resource Center (IDRC). $100 each will go to the Alcohol Education and Rehabilitation Fund (AERF) and to the drunk driving fund. $75 will go to the Neighborhood Services Fund. There will be a surcharge of $1,000 per year for three years. There might be a jail sentence of up to 30 days. Adding everything up with speeding in the mix, the penalties for a driver who is caught speeding and driving drunk will be hefty and extremely costly in the short and long run.